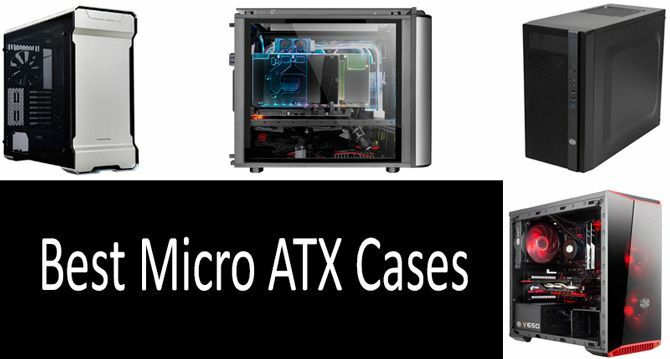 This guide deals with TOP-5 best Micro ATX cases that are available on the market. You will learn about their advantages and disadvantages as well as the situations in which they are a better choice. Find out why the number of vents and USB ports are that important and how tempered glass and RGB components make some models different from others. A comparative chart featuring the most popular items will help you make a decision. When building your PC, you may find one of the more difficult choices is the case itself. For some, this comes down to aesthetic (though I personally am fond of simple, durable black boxes loaded with USB ports). However, aesthetics should be a second set of comparisons you deal with, because in fact, you need to worry about the size of case. See, there are basically three sizes of case coinciding with the three different primary sizes of modular PC motherboard. You have your standard ATX, which is the large mother board with lots of PCI ports, RAM slots and room for goodies. Then, you have your Micro ATX, which is a smaller board with reduced ports (though still perfectly serviceable). Then, the Mini ATX, which is the smallest board you can build a traditional PC with, though these are more commonly used in specialty projects (those are fun). Now, these all have their merits, depending on what you want to do with your PC, and how much upgrading you want to be able to do. Micro ATX is generally perfectly serviceable for even high-end game rigs, with only one concern there to be honest, that we’ll get to in a moment. Either way, you can fit a Micro ATX board into a full ATX tower, but it’s actually pointless, and an additional expense. If you’re building a Micro ATX computer, you may as well go with a Micro ATX case, and there are just as many varieties in these as with full towers. Today, we’re going to look at some of these. We’re going to learn a little bit about Micro ATX designs, the things to consider when you shop for one, and of course, we’re going to look at what we think are five of the best ones on the market right now. What is a Micro ATX case? What are the types of Micro ATX cases and their differences? So, what exactly is a Micro ATX case, as opposed to a standard ATX? We described this a little bit already, but let’s dig a little deeper, because understanding this at a higher resolution is helpful. This is actually a footprint of motherboards (the main board all components connect to). The form factor of standard motherboards is called ATX, though there are tinier ones called ATI as well. Mainly, you have full ATX and Micro ATX boards. They accept the same range of components (the socket determining the type of CPU they can use), and they work the same way as well. The difference is in size. A full ATX board can have up to eight RAM slots, eight or more SATA ports, support for up to ten USB ports besides the onboard ones, and have five or six PCI slots. This means you can really deck these out with a load of memory, lots of drives, and multiple GPUs or other cards to enhance performance. A Micro ATX is smaller, and this is generally accomplished by reducing these components’ quantities. Mainly, this happens with the PCI slots, the SATA ports and the RAM slots. USB may or may not be affected, though often, it does drop down to about six or so. These boards also tend to utilize less of the power couplings from the PSU (power supply unit), though this is due to the reduced components it must power, not a drop in performance in the present components. So, a Micro ATX case is one designed to take advantage of the fewer drives that can be added, and the less space needed to mount the smaller board. This results in a case that has a similar form factor to a full tower, but in a more compact implementation You’ve seen these – Micro ATX towers are commonplace in offices, for home multi-use computers, and there do even exist gaming rigs of this smaller size. There really isn’t a wide range of categories spanning cases as a whole, beyond “full, mid and micro” towers. Full and mid towers are roomy, intended for standard ATX boards, where lots of drives and other bulky things will be added. Micro ATX cases are smaller designs, which just like the boards, does provide less space for multiple drives and PCI cards, etc. However, they’re surprisingly roomy enough to fit the maximum drive count a Micro ATX board will support. The differences across Micro ATX cases are really the same variations that occur across larger case sizes, such as the use of tempered glass or RGB components, and a few different basic form factors. There’s the basic rectangular box which most computer cases take the form of, there are some slimmer cases similar to the old fashioned design where monitors would sit on them. The latter is most commonly used in offices, or for specialized implementations such as cashiering systems, kiosks and other installations in public spaces. Beyond that, every case is unique in some particular way. There are a host of things to consider when buying your PC case, regardless which ATX type you’re going with, and these have nothing to do with materials or specialized RGB components, they’re all practical things. Let’s take a look at a few of them below. USB Ports – You want at least two USB ports in the front if not more, and also some additional ones provided in the back if possible. You’ll want to plug in lots of peripherals, and being in the front of the case makes it much easier to do so. Vents – PCs get hot. RAM, the northbridge, the CPU, the GPU – all of these are boxes of transistors that produce intense heat as they operate. This is why you want to have plenty of ventilation points on the case where fans can be mounted, or in the very least, air can flow. If PCs overheat they can become slow, be damaged, or simply shut down on you in the case of newer designs, all of which are annoying, some of which are catastrophic. Easy Access – You want your case to be easy to open. Some cases are annoying to get open, and can be even worse to get closed back up. Avoid cases with weird latch and spring or hinge mechanisms. You want your case to open easily after removing two or four screws, and the panel sliding out or simply lifting off. I’ll have a little more to share on this in my stories shortly. Durability – Some cheaper cases are made of very easily dented, crushed or bent aluminum, especially the panel you take off when opening the case. If those panels get warped, they can be nigh impossible to get back on there. So, choose a case with some durability and strength behind it. So, before I share some personal experience, I thought I’d share with you some examples of when Micro ATX is advantageous, because people have a tendency to balk at these smaller machines due to their space constraints and limited upgradability. There are several situations in which they are a better choice. Budget Gaming PC – It’s not that Micro ATX itself is that much cheaper, though it is to some degree. However, if you’re building a budget gaming PC, and you only have so much RAM you plan to spend money on, so many drives, and just one decent GPU, there is no point in buying a power-sucking full ATX board and bulky case the space and connections of which you will never use. A smaller, more practical Micro ATX board and case will serve your needs well. Office Machine – If you’re building a machine for your office or home office, and aside from idle video viewing and maybe occasional simple gaming, you don’t need tremendous processing power, this is another case similar to budget gaming where you needn’t buy a giant board and case. A Micro ATX will take up less space, and you can still build a frighteningly-powerful machine for this purpose, with this form factor. Specialized PC – So this is something I always enjoy as a pet project, building a PC for specialized uses. I built a “set-top box” of a sort, for my living room, to tie into the 4K 60” screen I have in there. I’ve no interest in cable TV, and the smart features on those TVs are too limited, especially for online. So, I built a slim Win10 Micro ATX machine with a decent GPU, and I wrote a simplified media center interface program for it (I hate Windows 10’s app system). You can do gaming boxes for living rooms, media boxes, or the like. Public Installations – I mentioned this earlier, but if you want to build a kiosk or some other public computer station, Micro ATX like this is well-suited for it due to being compact and affordable. Casual Family PC – The “family PC” isn’t a thing in the sense it used to be – everyone has their own computer if it’s only a laptop, as well as a phone and usually a tablet. But a family computer everyone shares, along with this, is still something many people do. A Micro ATX is ideal for this. So, my personal experience is primarily going to be further warning about difficult cases. Some time ago, when I still lived in LA – so this would’ve been around 2004 when XP was still the main OS used by most people – I went to one of those “fire sales” where an office closed down, and their machines were being sold for pocket cash. I bought a Dell machine, which I’d planned on just turning into a network server for my own use. It was too weak for me to use as a workstation, but was fine for that. So, I took it home, and it kept saying the GPU wasn’t seated right, meaning I had to open it. This was an early Micro ATX design, and the damn case had a latch and hinge setup that was horrible to get open. When I finally did, it opened too rapidly/hard, and it yanked a ribbon cable completely off the board that had, for reasons I will not fathom, been directly soldered to the motherboard, connecting an old style SD card reader. The ribbon being off didn’t just mean the card reader (which was unimportant) wouldn’t work, the board wouldn’t post! Nice one, Dell. Whelp, I got a pin interface kit from Radio Shack (which I do believe is the only thing I ever bought from Radio Shack in my entire life aside from a TRS-80 back in the stone age), and did some quick soldering to get it together. It booted, only for a capacitor bank to burst because the stress of that cable ripping off had cracked a run and caused a feedback short. Dielectric fluid went everywhere, and that stuff is nasty, it’s basically a form of battery acid. Obviously, at this point it was the principle of the thing, because I was already spending more on fixing this thing than I’d spent on buying it. I ordered some capacitors, which amazingly arrived two days later, and repaired the board and cleaned all that dielectric fluid off. I got sick from it, too, though not clinically. After all that ado about nothing, it actually worked fine, and it did serve as a nice little network server clear up until the end of the Windows 7 era. I’d installed 7 on it, and it ran amazingly well. I did at one point give it a better CPU that ran on its Celeron D socket, I think I gave it more ram, I showed that orphaned office machine lots of love, because I’m weird and feel empathy for computers. Well now, the obvious lesson to take away from this, though, is that complicated cases are a nightmare, avoid them at all costs. I always hated when I had to reopen that machine to do anything to it because the case was the devil. Below, you will find a review of products within the price range from $50 to $150 available on the market. They differ in the number of vent panels and USB ports. Not all of these items have optical drive slot, the feature present only in a the cheapest model, though. All cases are made of high-grade Aluminum, however, some of them include tempered glass as well. Cooler Master is well-known for their cases, their PSUs and their cooling systems, though they do make some other things as well. What we have here is an excellent example of how you can implement good ventilation in a case. There’s a nice intake on top, a fan vent space on the side, and two intakes on the back. This isn’t specifically ideal for any one use, it’s just an all around good case if you’re going to build a machine that gets hot, or do things that make the machine get hot. This is a nice basic black box case. I like that it still has optical drives in mind, the complete omission of these annoys the hell out of me, because so much software that comes with peripherals is still on a DVD. Booting from USB or other devices when you need to repair the OS is also a nightmare, and Windows 10’s “restore point” system never ever works. That alone gets a thumbs up from me, but I also like the available ports, though three is an odd number (literally and figuratively). I like the audio on the front, and how well-ventilated this thing is. Wouldn’t mind one more USB port. I don’t like that grill on the front of it, it’s unnecessary. The intake vent on top has too big of holes on it, dust is going to get in there. It’s a pain to connect the power and indicator LEDs to the board. I am fine recommending this case to pretty much anyone not doing a public installation project. If you’re building a server, and lots of people still do this, myself included, then this is definitely the case for you. The ventilation is quite good, and servers do run hot, because they’re always on, and do a lot of memory I/O though not as much processing. The form factor is what seals it though. This thing is ugly, if it were going to be a desktop or set-top project, but for a server, squirreled away in a closet or on a shelf, it’s perfect, and has lots of room for drives, for that rare Micro ATX with a ton of drive hookups. They do exist. Panel: Screws and tempered glass panel. This is good for a server, or possibly a public installation project of some sort. I can’t recommend this for desktops or gaming PCs, because it’s just a weird form factor. But I like it for servers, despite being “ugly”. It also has that Corsair reputation, though, so weird form factor aside, you know it’s a quality case. Fits in lots of places. Not ideal for desktops or gaming rigs. Kind of ugly, looks like some kind of pick-up item from Doom. Tempered glass breaks you know. This is perfect for servers, and I do mean perfect. But for anything else, it’s kind of too weird. I will start by saying I am dubious about this much glass in a computer case. I’ll get into why shortly, but let’s discuss the merits. This is a fully-transparent more or less cube, perfect for DIY RGB kits and it’s very spacious and could almost hold a full ATX board. If you want to build some kind of showy, slick machine of some sort for shows or the like, this is definitely an interesting choice. Thermaltake is a good company too, so you know the materials will be the best of what they are. Material: High-grade Aluminum and tempered glass. This isn’t practical for things aside from interesting, kind of artistically-designed machine projects. This much fragile glass is just asking for scratches or breakage, and my lord would this thing be heavy. But, if you want to make something interesting-looking, you can do it with this. Not ideal for anything but special projects. 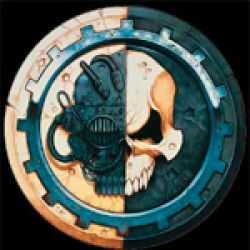 This is ideal for people really into making unique looking machines, and that is a demographic. But it’s heavy, the glass is fragile, and I just don’t see most people wanting a case like this. Sorry, Thermaltake, no disrespect. This is one of two cases I think is good for a budget gaming PC. It has a nice, neutral look to it, with one tempered glass panel. Phanteks is less well-known, but isn’t a bad company. This is a basic, timeless case design, and you could easily install RGB components in, with the nice tempered glass panel. I am wary of tempered glass, even though my own machine has it, but there you go. Silver shows scuffs, scratches and dirt. If you want a basic case for a budget gaming PC, this is for you. You can deck it out with RGB if you want, or just have a nice basic machine. And here we have another Cooler Master design, this time ideal for a gaming PC. I don’t like these modern “angular militaristic” designs inspired by fake stereotypical “FPS fan” gaming culture myself, but they are popular for some reason. This is another basic case, with customization capabilities and decent ventilation. If you’re building a smaller budget gaming PC, and want to duplicate that trendy angular monolith design that’s so popular these days (for reasons outside my grasp), this case will suit your needs. It’s a fine case, I just don’t get why this aesthetic is seen as being “gamer culture” when most gamers don’t play the games that inspired this kind of look, at least they haven’t since 2014. Looks like an expensive gaming rig. This aesthetic is popular, but it’s honestly ugly and indicative of a gaming culture demographic everyone thinks are unpleasant, and whom don’t truly represent the culture or hobby. If you want to build something that says “I’m a real modern gaming rig”, this standard case will fit the bill. If you like this aesthetic, no disrespect intended, I just don’t get it, and a lot of gamers agree. • Optical Drive Slot: Yes. • Panel: Slide and screw. • Optical Drive Slot: No. • Panel: Screws and tempered glass panel. • Material: High-grade Aluminum and tempered glass. What is the best brand of Micro ATX cases? Cooler Master and Thermaltake are good bets. This varies, but they tend to occupy about four square feet in general. Can ATX fit in a Micro ATX case? Glass cleaner on panels (when turned off), spray duster air inside. What is the difference between a Micro ATX and ATX motherboard? I outlined this earlier but: it’s size. Micro has fewer ram slots, PCI slots, and SATA connections, allowing it to be more compact. Micro ATX is a fine solution for a lot of PC needs. It’s actually ideal for some of the more unique ones, in fact. That in mind, I am sure one of these Micro ATX cases will suit your needs, just remember, avoid complex cases that’re hard to open and close. Happy building!